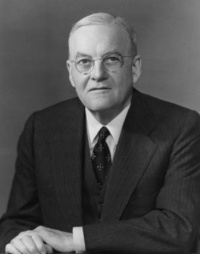 Relations co-founder John Foster Dulles (pictured) spelled it out clearly. “The United Nations represents not a final stage in the development of world order, but only a primitive stage,” Dulles wrote. “Therefore its primary task is to create the conditions which will make possible a more highly developed organization.” In the same book, Dulles went on to argue that the existing UN Charter was strong enough to serve as the foundation for a world government. “I have never seen any proposal made for collective security with ‘teeth’ in it, or for ‘world government’ or for ‘world federation,’ which could not be carried out either by the United Nations or under the United Nations Charter,” he said. 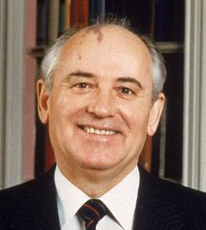 Soviet dictator Mikhail Gorbachev (pictured) approvingly describing it as “the new European Soviet” during a 2000 visit to Britain. Originally, it started as a “Coal and Steel” agreement between six nations after World War II. 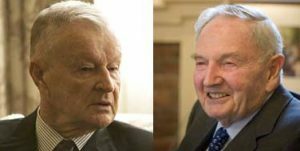 With key support of Deep State institutions such as Bilderberg, the CFR, the Central Intelligence Agency (CIA), and more, it gradually usurped more and more power under the guise of “free trade.” Over the decades, it morphed into the European Economic Community, the European Community, and finally, the European Union. By 2012, then-EU Commission President José Manuel Barroso, a former Maoist revolutionary, was boasting of the machinations that The New American had been warning of for decades, a plot that globalists had generally denied as the EU was forming. “We will need to move toward a federation,” he said. “This is our political horizon.” Today, the EU has a single currency, a law-enforcement agency, a proto-continental military, and much more. Brussels, where the monster is headquartered, has stolen more power than even the U.S. federal government has taken from U.S. states in some areas, purporting to have the authority to veto national budgets passed by member states’ elected parliaments. Despite being opposed by citizens in referendums at virtually every turn, the EU is still working to become “deeper” by usurping more power, and “wider” by adding more and more members. It is also working to export its globalist model of total centralized power to other regions of the world. pursuing at the global level to subsume nation-states, but on a continental scale. Consider the emerging “Tripartite Free Trade Area.” Under the plan, various “free trade” areas on the African continent are to eventually be merged into a single, continent-wide “free trade” regime with open borders from Cape Town to Cairo, and a single African passport. For a sneak preview of the future under this regional regime, consider that genocidal Marxist dictator Robert Mugabe was made chairman of the AU before being overthrown by his own military. 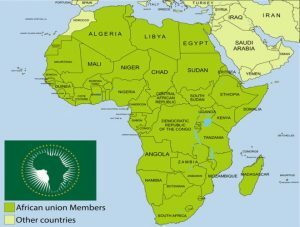 And of course, it is an undisputed fact that outsiders — primarily the U.S. government, the EU, and the dictatorship enslaving China — are funding and imposing the AU on Africans. Beijing built the AU headquarters. The EU, meanwhile, funds more than 80 percent of the AU’s program budget. Independent States (CIS). 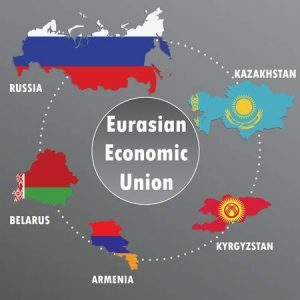 “It took Europe 40 years to move from the European Coal and Steel Community to the full European Union,” Putin observed in an op-ed for Izvestia, adding that the Eurasian Union is “proceeding at a much faster pace because we could draw on the experience of the EU and other regional associations.” The harmonized Eurasian regulatory regime is “in most cases consistent with European standards,” he added, noting that it was “based on World Trade Organization principles,” while promising that the union would “help ensure global sustainable development.” Putin noted that eventually, the EU and the Eurasian Union could create a “harmonized community of economies stretching from Lisbon to Vladivostok, a free trade zone and even employing more sophisticated integration patterns” that would pursue “coordinated policies in industry, technology, the energy sector, education, science, and also to eventually scrap visas.” Ultimately, “existing regional institutions, such as the EU, NAFTA, APEC, ASEAN inter alia,” would become “the integration bricks that can be used to build a more sustainable global economy.” Top EU leaders have echoed that rhetoric exactly. Note the reference to NAFTA, too. 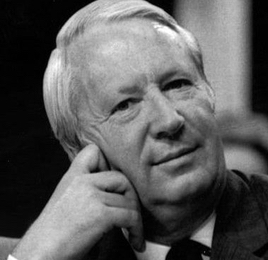 emerging European superstate, then-British Prime Minister Edward Heath (pictured) blatantly lied. “There are some in this country who fear that in going into Europe we shall in some way sacrifice independence and sovereignty,” Heath said in a January 1973 prime ministerial TV broadcast. “These fears, I need hardly say, are completely unjustified.” Of course, not only were those concerns completely justified, they underestimated the subversion of sovereignty that would be taking place. By 2016, the British people had wised up, with more people voting to secede from the EU with Brexit than have ever voted for anything in U.K. history. Globalists are now doing everything possible to overturn the vote, again using deception. Almost three decades after Heath’s lies, in a July 13, 2000 interview with the newspaper La Stampa, then-Italian Prime Minister Giuliano Amato outlined the strategy of deception. “The Union is the vanguard of this changing world: it indicates a future of princes without sovereignty,” he said. explained in an excerpt from his book World Order that appeared on August 29, 2014, under the headline “Henry Kissinger on the Assembly of a New World Order” in the Wall Street Journal. Calling for a “structure of international rules and norms” that is “fostered as a matter of common conviction,” he praised, in particular, developments on the other side of the Atlantic. “Europe has set out to transcend the state,” Kissinger said. 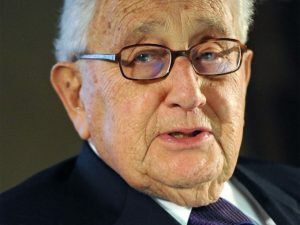 Despite the use of opaque and sterile language, it is clear that Kissinger was calling for the world’s nations and peoples to be divided up into “regional orders” as a prelude to the “New World Order” finale. Eventually, as Kissinger and others explained, after these regional governments are in full control, the plan is to begin merging them with each other in overlapping regional governments, again using “trade” as the pretext. The Transatlantic Trade and Investment Partnership (TTIP), for example, was aimed at bringing the EU and North America together under transatlantic bureaucracies, a longtime globalist goal that has been worked on for generations. This transatlantic union would then create regulations and supranational kangaroo courts over more than half of global GDP. On the other side of the United States, the Trans-Pacific Partnership (TPP) did virtually the same thing. Taken together, the supranational regulatory regime that would emerge from the “trade” regimes would govern virtually the entire global economy, with even nations that were not technically under its thumb being forced to submit just to continue participating in trade. If the American people (ER: and people everywhere) do not actively oppose these plans en masse, the result will be the end of self-government, liberty, prosperity, and Western Christian civilization.